Upon review of the case, the New Jersey Supreme Court was concerned about the inadequately defined standards of the hostile work environment division of sexual harassment claims under the New Jersey Law Against Discrimination. The justices created a new standard with four prongs to better direct the legal system in these cases. 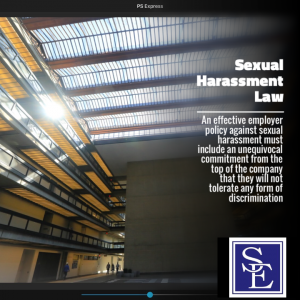 They ruled that in order to state a claim for hostile work environment sexual harassment, a plaintiff must allege that the complained-of conduct (1) would not have occurred but for the employee’s gender; and it was (2) severe or pervasive enough to make a (3) reasonable woman believe that (4) the conditions of employment are altered and the working environment is hostile or abusive. The first prong requires a preponderance of evidence to suggest that the conduct was gender based, and insinuates that if a defendant treated all of their employees equally regardless of gender, the case would fail based on this initial requirement. The second prong allows for two situations to constitute harassment, which are (1) one action that is serious and extreme enough to alter the conditions of employment on its own, and (2) multiple moderate actions that over time create a hostile work environment. The third prong creates an objective standard that evaluates the conduct itself as opposed to the impact that it had on the victims, and that is flexible enough to evolve to the public’s demands. The final prong ensures that a victim need not experience an economic loss or a drastic alteration to psychological well-being, but requires only that the conditions of employment had been changed as a result of the harassing conduct. The case holding acknowledges that the treatment of other women in the workplace may legitimately impact these conditions as well. 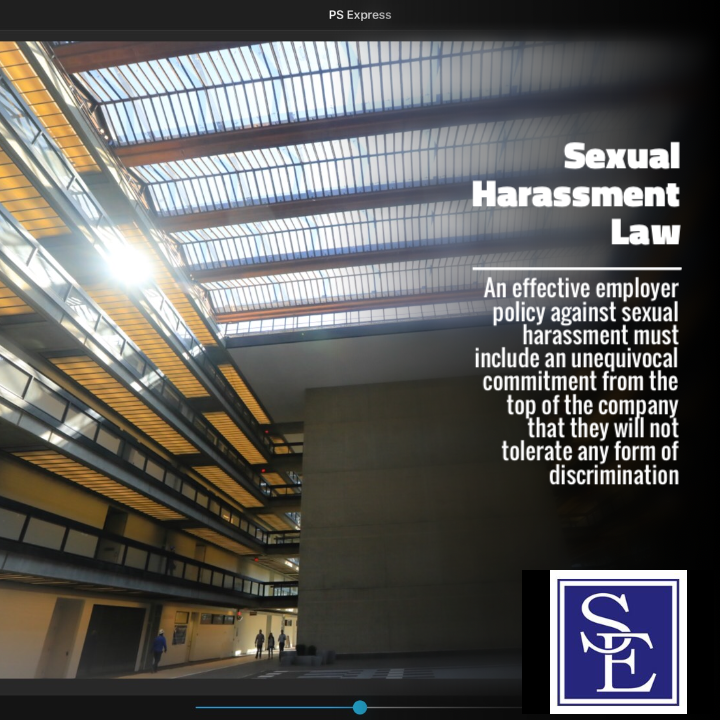 The case further suggested a standard for employer liability in the case of sexual harassment suits. The justices declared that if an employee is acting within the scope of their employment when committing the harassing behavior, the employer may be found vicariously liable. However, even if the employee was not acting within the scope of their employment, the employer may still be liable through an accusation of negligence. Lastly, the employer may be liable for equitable or compensatory damages, but is not liable for punitive damages unless the harassment was authorized by or participated in by the employer. Ultimately, the New Jersey Supreme Court reaffirmed the ruling of the appellate court in Lehmann’s case, and remanded the case to a trial court for it to be re-assessed based on the newly defined standards. The importance of Lehmann’s case lies in the creation of the standard that has dictated the way in which sexual harassment cases have been handled in the New Jersey court system in the last 25 years. It presented a more liberal standard in comparison to the federal law, and provided for a flexible code to allow the legal field to respond to changes in the social and political environment. Lehmann made it much easier for sexual harassment cases to prevail in New Jersey, and caused an increase in the amount of harassment complaints filed in the state. Further, Lehmann forced employers to take steps towards preventing this type of behavior, such as instituting company policies and harassment trainings. Despite the leaps forward that were brought by Lehmann’s case, assessing whether a sexual harassment claim can be brought as well as if an employer can be held legally responsible for workplace sexual harassment will remain a fact sensitive inquiry. If you or a family member are the victim of sexual harassment, it is imperative that you seek advice and counsel from an experienced New Jersey sexual harassment lawyer.